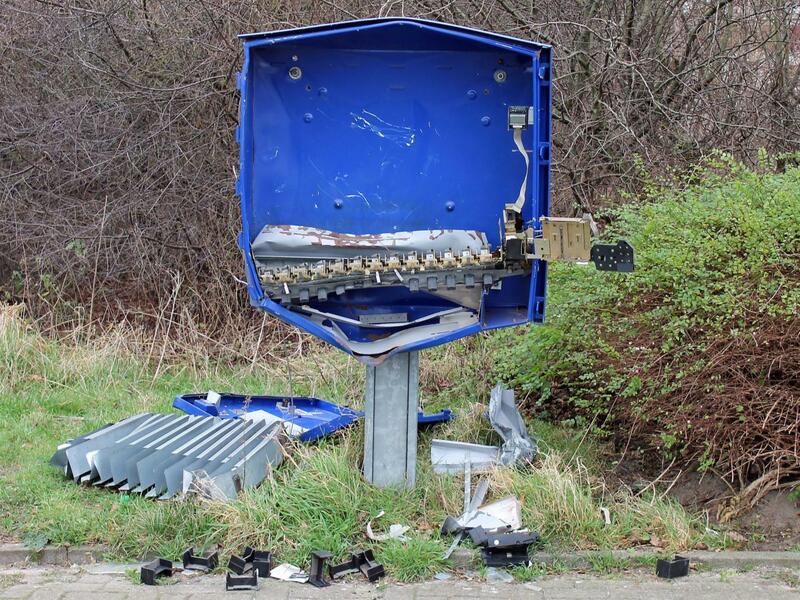 A man has died after trying to rob a condom machine in Germany. The unnamed man, 29, was hit in the head by a piece of flying metal after he and two friends tried to blow up the machine in Munster on Christmas Day, local media reports. The two men grabbed their fallen comrade and fled the scene of the explosion in a car, leaving condoms and $21 in cash scattered around the vending machine. He was taken to hospital in Schoeppingen, near the Dutch border, with the two other men telling doctors he had injured his head falling down a flight of stairs. He could not be revived and died in hospital. A resident heard the explosion and called police, and the two men confessed to the crime during police questioning. The two men are free on bail as the investigation continues.